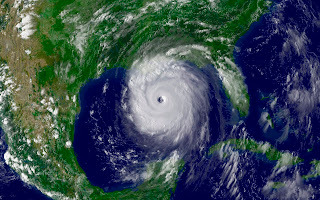 Texas Online Radio: Hurricanes; What you need to know. Helpful info from FEMA. Hurricanes; What you need to know. Helpful info from FEMA. During a hurricane, homes, businesses, public buildings, and infrastructure may be damaged or destroyed by many different storm hazards. Debris can break windows and doors, allowing high winds and rain inside the home. In extreme storms (such as Hurricanes Hugo, Andrew and Katrina), the force of the wind alone can cause tremendous devastation, as trees and power lines topple and weak elements of homes and buildings fail. Roads and bridges can be washed away and homes saturated by flooding. Destructive tornadoes can also be present well away from the storms center during landfall. Yet, storm surge alone poses the highest threat to life and destruction in many coastal areas throughout the United States and territories. And these threats are not limited to the coastline -- they can extend hundreds of miles inland, under the right conditions.